Factory seats, take a back seat. 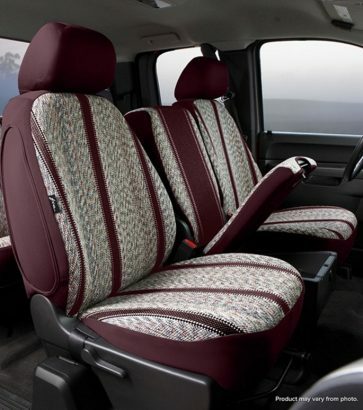 Fia Original equipment standard tweed custom fit truck seat covers. Authentic saddle blanket custom fit truck seat covers. An easy, economical, and temporary way to personalize your car is with universal or custom aftermarket seat covers. 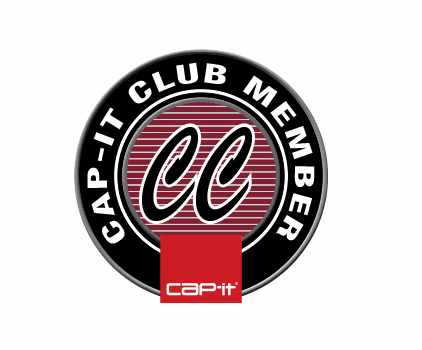 At Cap-it, we carry enough options to match every make and model of car, truck, Jeep, and SUV. Not only do covers personalize the look and feel of your vehicle, but they also help protect your factory seats from everyday wear and tear caused by weather, pets, or food. 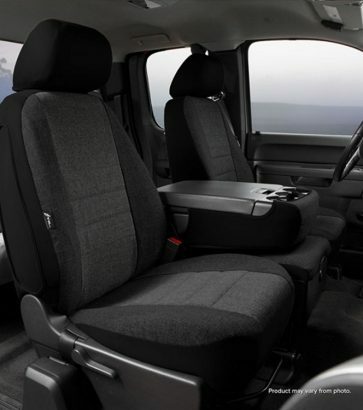 Seat covers also keep your original interior clean from rain, dirt, and mud. Make sure anything from the outdoors stays out-of-doors.